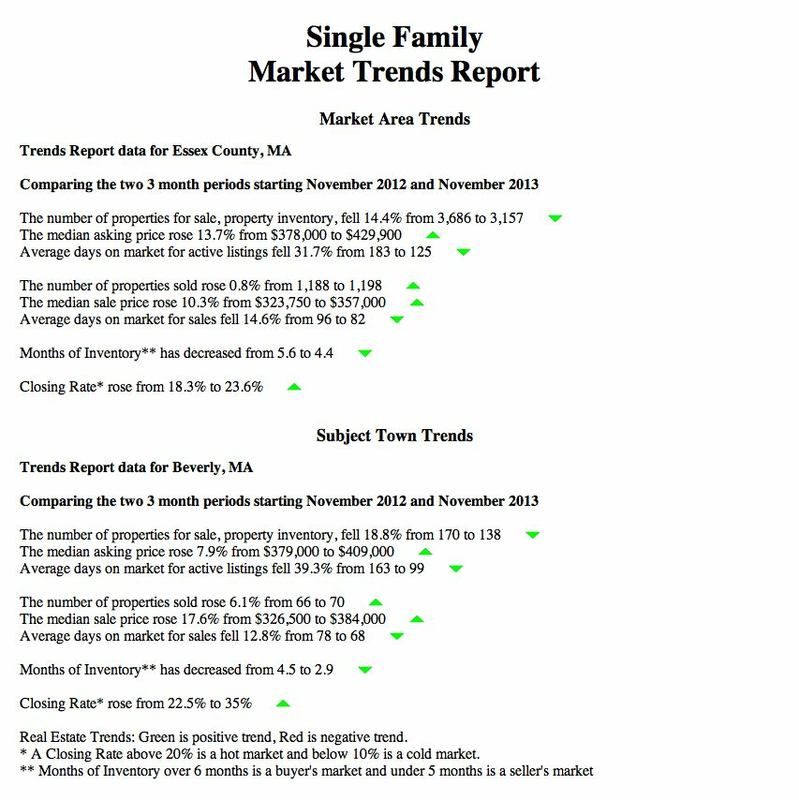 Our enhanced CMA software now auto-calculates the local Market Trends and generates a Property Valuation Report. The Market Trends Report uses arrows to indicate the direction of the data and the color of the arrows indicate the direction of the trend: Green indicates a Positive Trend, Red indicates a Negative Trend and Black indicates the Trend is Unchanged. The new reports are accessed from the CMA Editor screen for each of your CMAs. 1. 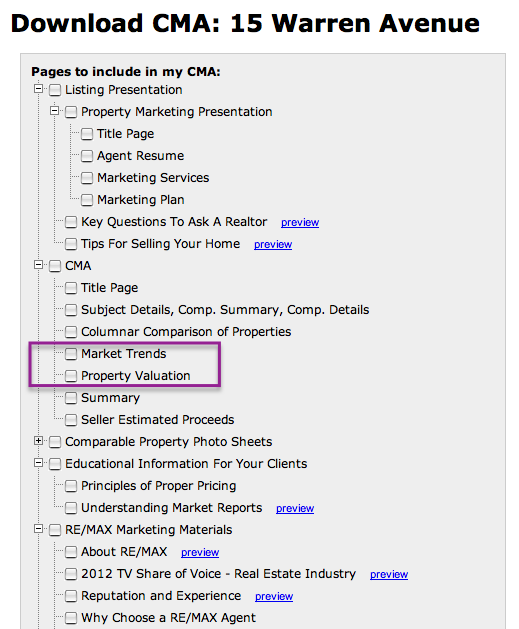 Click Edit > "Market Trends" button on the CMA Editor page to view the Market Trends Report Settings page. 2. Select two comparative periods. The default setting compares the most recent 3 month to the same year earlier period. 3. Select your market area which can be: 1 county or 10 towns or 20 areas of towns. 4. After you have selected your market area, click the "Save Changes and Update Reports" button. 5. When the Market Trends Report has been generated, click the "View Report" button. 1. 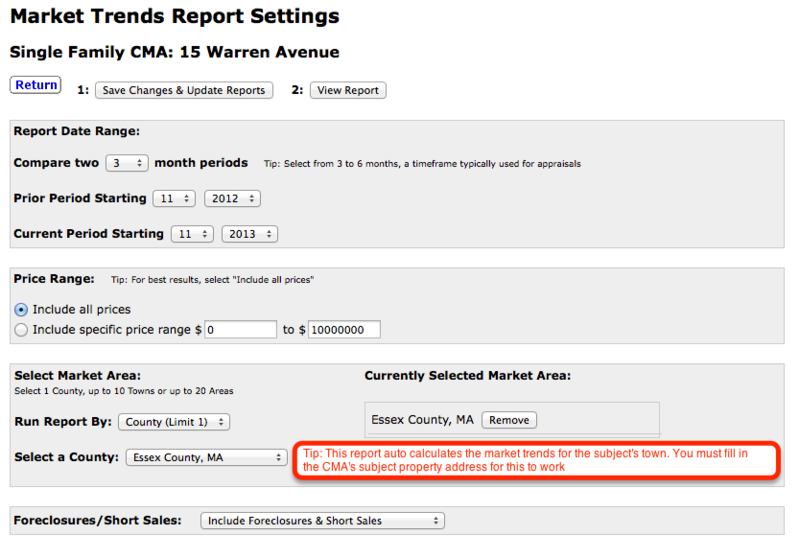 Click Edit > "Property Valuation" button on the CMA Editor page to view the Property Valuation Report Settings page. 2. 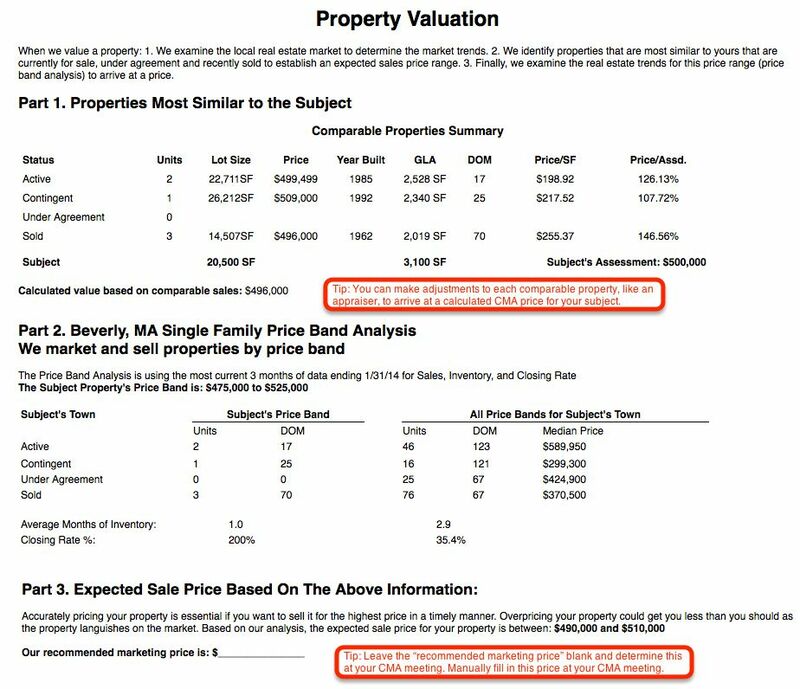 Fill in the Property Valuation settings page. The settings default to using the most recent 3 months of data, but you are able to customize this. 3. Click the "Save Changes and Update Reports" button. When it finishes processing, click the "View Report" button. 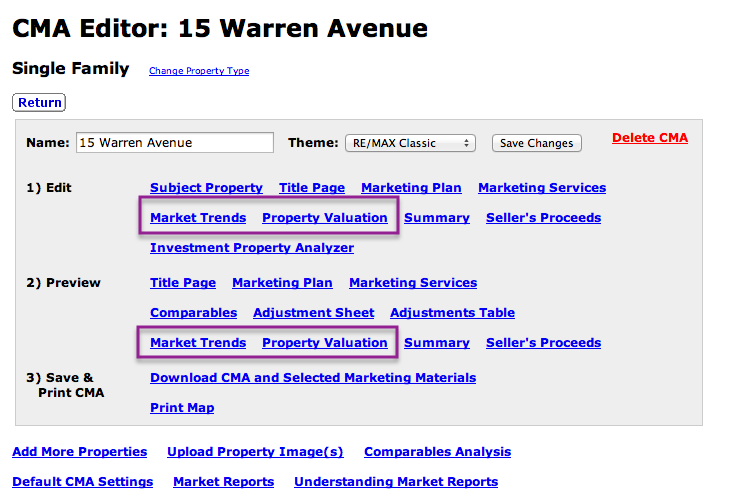 Both the Market Trends Report and Property Valuation Report can be included in your downloaded CMA.